You might want to take a look to see what the cruise ship offers for tours as most include shopping, a sightseeing tour and a few hours at a beach. Or you could do a half day boat trip including snorkeling, combine that with an island land tour and, if your ship is at the Havensight port facility there are tons of shops there. Have a great day whatever you decide to do and hopefully you'll enjoy it to so much that you'll want to return for a longer visit to explore further. There are plenty of shops, jewerly shops, paintings, clothing stores, restaurants, in the main street in Charlotte Amalie which are all duty free tax, Havensight Mall where the Cruise Ships Dock also have plenty of jewerly shops, liquor shops, clothing shops and many more small shops with duty free taxes. You can find plenty of evening fun on St Thomas. Molly Malones is a great spot for dinner and a few irish tunes. The Big Bambooze is a new streetside/waterside bar and open air disco near to the Red hook Ferry terminal. Island Time Pub for the best pizza and drinks overlooking the marina. The Saint is an upscale all night discteque and lounge. Lotus offers outstanding asian fusion. The Cellar is a trendy tappas bar which connects with The Room, a special dining atmosphere for Corporate and Wedding Groups. XO Bistrohas a huge wine selection and friendly bartenders. Duffy's Love Shack has dancing every night and great drink specials - but beware, things can get crazy fast especially on Wednesday nights when they have free drinks for women. Fat Boys has poker machines, pool tables and a great little deck overlooking Red Hook. Caribbean Steakhouse & Saloon serves food and drinks till 4am. They also have dancing starting at 11pm or live entertainment. All of these bars are within walking distance so its easy to do a bar crawl and taxi drivers are plentiful. The newest "bar crawl" area is over in Havensight. Reggae Lounge - elegant atmosphere, dancing, artwork for sale and sometimes live bands. Shipwreck Tavern, open till 4am, has poker machines, GIANT hamburgers and sports on the television. Hooters is just like in the states. Do not miss Captain Mayhems- Open till 4am serves great food including the best breakfast burrittos and hot wings on the island. The only place that you can order a funnel with your beer or start a game of beer pong. Great music and good looking bartenders too. Offshore Bar is across the street. It's a nice little hangout with poker machines and sports. Outside of those areas, there are a few other options. At Bolongo Bay is Iggie's Beach Bar. They close at midnight, get there early! They have karaoke or live entertainment, including a huge Carnival show on Wednesday nights that includes fire eaters and dancers who dance on glass. 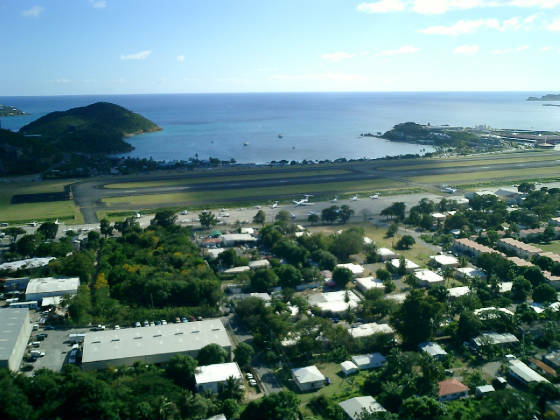 Charlotte Amalie area: the place to go is Green House for dancing and live bands. In Frenchtown, Stereos, located above Epernay is the place to dance the night away. Betweens Havensight and Charlotte Amalie, The Fat Turtle at Yacht Haven Grand has Friday night dancing, music and craziness. There are so many things to do. The best way to figure out where you want to go is to pick up an Island Trader. It comes out every Thurs and is free at most grocery stores or available via internet at http://islandtrader.vidaily.com. They have a advertisements and listings of events and specials for many of the bars and clubs. Aqua Action is a PADI 5 Star Facility. Our focus is on custom-tailored dive trips, individual training, and specialized programs for divers with physical disabilities. We are the only HSA (Handicap Scuba Association) Certified Dive Center, specializing in diving for the physically handicapped. Let us show you a kingdom of beautiful mountains, valleys, canyons, plains and caverns. We are welcome here, and the inhabitants share with us the peace, relaxation and camaraderie they enjoy. 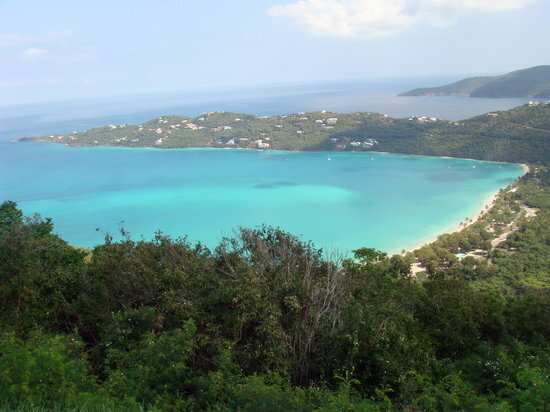 4.4 miles from City Center (Charlotte Amalie). Scubadu is a luxurious 40 foot sailing catamaran available for private day, sunset, and dinner cruises with a maximum of 10 guests. 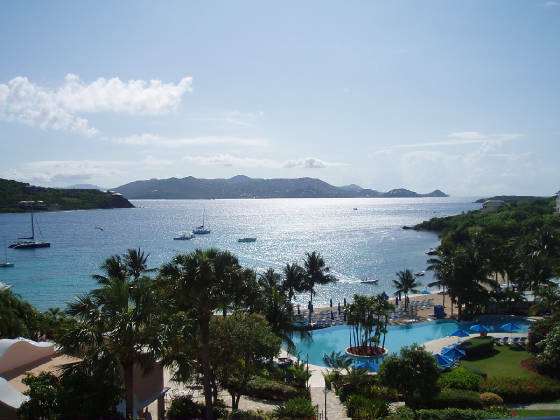 Experience the beautiful waters and beaches of St John and St Thomas while enjoying our large, shaded cockpit and over-sized trampolines. Captain Joe is a gourmet chef with 30 years of restaurant experience and is a 100 ton Masters Coast Guard Liscenced captain with 15 years of sailing experience in the Virgin Islands. 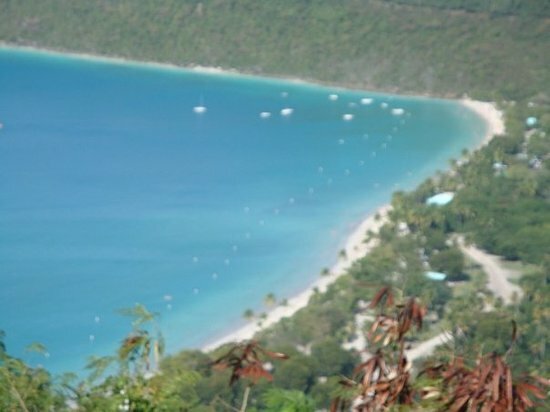 Mountain Top is located at the highest point on St. Peter Mountain, it has beautiful views of Magens Bay and the northside of St Thomas. Took a local cab ride to the top for $8 per person. Our cab guy was so nice he said go have a drink and I will wait for you. We spent about 1/2 hour there. Shopping is the best wish I had known and wouldnt have bought the $10 tshirts at the flea market in town. Really good prices for quality items. Lots of local type souvenirs for good prices. Daquiri was $5 for a dixie cup and had good amount of Cruzer's Rum. The view is to die for. 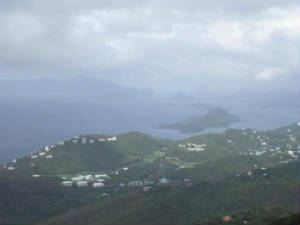 You can see the whole bay and a good view of Magens Bay. It is cooler up there. This was a to do for our day at St Thomas. Then we took the cab to Magens Beach for another $8 per person. We took our Garmin GPS to the USVI since we rented a car and it fit perfectly in my purse for the plane ride over! We saw so many great things using our GPs and one of those is the world famous mountain top! It was quite an adventure getting up there in our little 4 cylinder rental car :o) The banana daiquiri is quite good and don't be shocked by the price, I promise one of those suckers is enough! lol We loved reading the informative sign and pointing out all the different islands visible from this location as well as Magen's Bay. I've attached a couple of pictures, but since it's so high and it was a cloudy day, it's hard to really understand how amazing it is to be up there. I recommend it to anyone especially if you have a rental car and don't have to pay for the sky ride!! 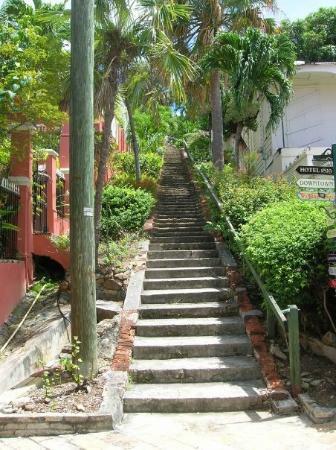 Step streets used by the residents of Charlotte Amalie, these historical 99 steps (the actual count is 103) were built from the ballast bricks of the tall ships coming from the old world, which would then return to Europe loaded with products from the islands. 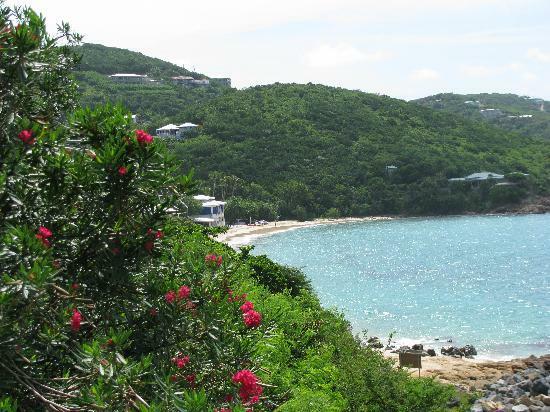 Hailed as one of the world's most beautiful, this breathtaking bay along St. Thomas' rugged north coast is ideal for swimming and snorkeling with all the conveniences of parking, lifeguards, equipment rental, freshwater showers, restaurants and bars. Nice Beach with good snokeling and see and observe alot of fishing. Great all in one beach. If your looking for a great all in 1 beach this is it! Was very easy to get to and parking was a breeze. Locals were very friendly and helpful. This beach is gorgeous! The locals have music in the background and will get you anything you need as far as drinks, seats, umbrellas. Snorkeling is unbelievable! 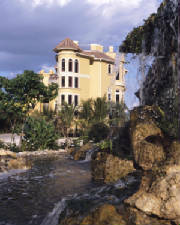 Coral World is located there to observe Marine Life in the Caribbean Seas. The Coral World park itself was small but nice to visit but the swimming experience with the Sea Lions is incredible and we had so much fun. The staff were very knowledgeable and it is evident that all the animals are well cared for. We booked a Snuba tour with our CruiseShip. Included in the tour was access to Coral World. It's a great place. Lots to see (turtles, stingrays, sharks). Note that this isn't an aquarium. There's not that many fish on display, but what's there is interesting and a great way to see in a more intimate setting. While we were their, we could feed the stingrays, saw the feeding of the turtles and people playing in the shark pool. There was also the opportunity to do Snuba or a helmet dive in Coki Bay (beautiful place). Snuba (scuba diving without the tank. The tank floats above you so you only have the airhose) is terrific. We have no interest in becoming certified for scuba diving since we won't do it very often, so this is a great way to get that experience without all of the hassle. We thought it was absolutely amazing. Great coral, some big fishes that follow you around, etc. While we were there, other people were doing the helmet dive and I wouldn't recommend it. They basically walked on the sea floor in a circle and didn't get to see very much. Ocean Park was definitely one of the highlights of our vacation to St. Thomas! 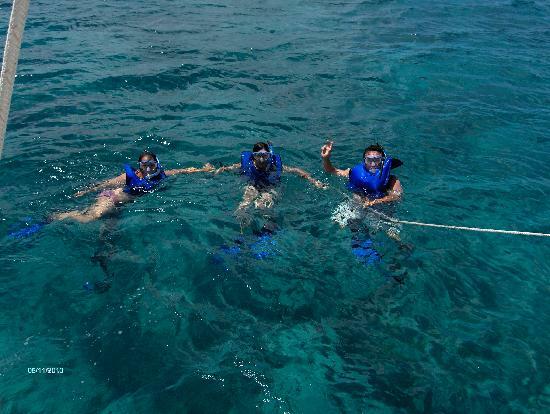 Specifically the ocean trek activity is a must-do...no swimming or diving experience necessary! There are just a handful of places in the world that let you walk on the natural ocean floor, all under the watchful eyes of experts who let you make the most of the experience however you want! The price is more than fair, even when you include pictures and video. This staff is friendly and accomodating...just like the rest of the island. Did I mention the water is always a balmy 80 some degrees? 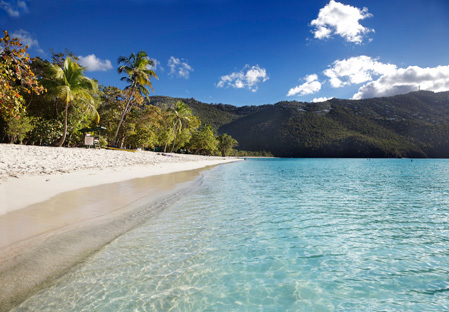 U.S. Virgin Islands is home to highly interesting animals many of which live in the ocean, rainforest, and colorful animals such as the iguana, colorful birds, land turtle, deer, and the mongoose that was brought to the islands by the early settlers. Bike Tours does not exist and rentals are very limited because the land terrain is very mountainous. 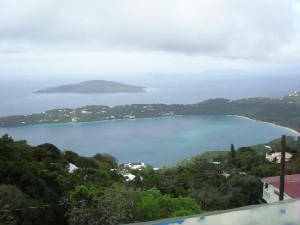 Water Island is a very short ride from St. Thomas (10 Minutes). 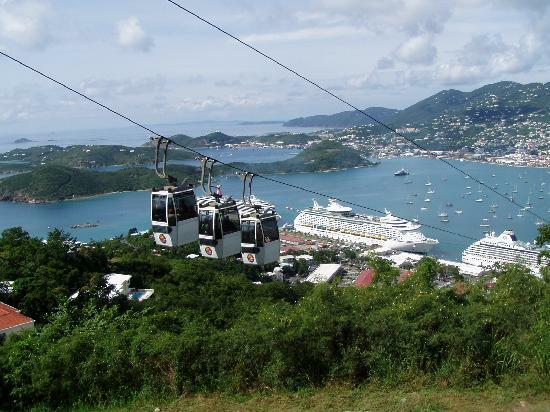 Tram Rides Over Charlotte Amalie Town, Caribbean Sea to Mountain Top. 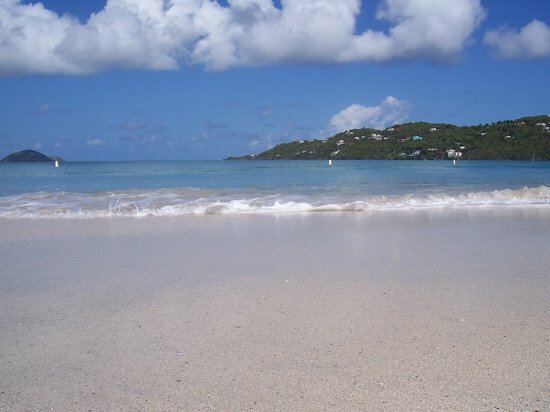 Rent a boat and plan your own itinerary; stop at a very snorkeling spots, have a picnic on a deserted beach. Boat rental operators will provide good guidance and directions and advice on good locations.